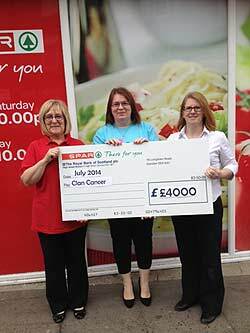 LOCAL CHARITY BAGS £3000 FROM SPAR SCOTLAND! 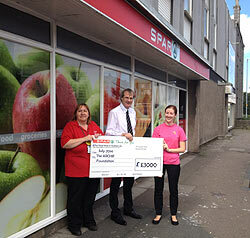 SPAR PETERHEAD THERE FOR ALZHEIMER’S SCOTLAND! 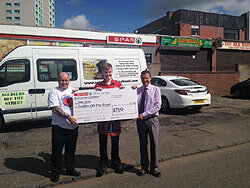 SOLDIERS OFF THE STREET MARCH OFF WITH A CHEQUE FROM SPAR SCOTLAND! 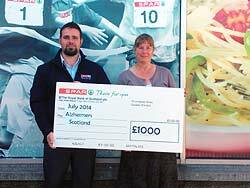 LOCAL CHARITY BAGS A CHEQUE FROM SPAR SCOTLAND! 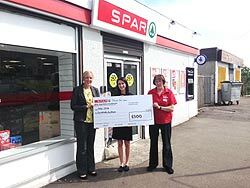 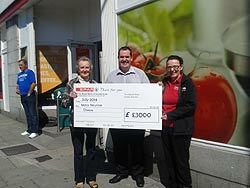 LOCAL CHARITY BAGS A CHEQUE FROM SPAR SCOTLAND!! 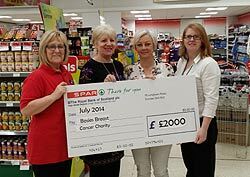 CLAN CANCER BAG A £4000 CHEQUE FROM SPAR SCOTLAND!